If Japan wants to maintain its international influence, it should increase, not pare, official development assistance because South Korea, China and other countries are boosting economic aid to key developing states, the new Japan International Cooperation Agency chief says. Throughout the 1990s, Japan was the world’s No. 1 ODA donor. But for 13 consecutive years, Japan has descended the aid ranking ladder and now provides less than half of its 1997 peak contribution of ¥1.16 trillion. The nation’s ODA budget now ranks fifth in the world, said Akihiko Tanaka, who in April took over the presidency of the government-backed provider of ODA projects for developing countries. 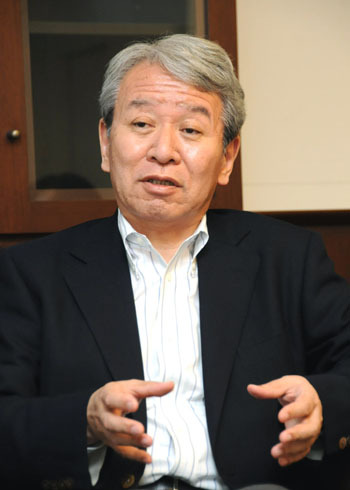 Tanaka, a former professor of international politics at the University of Tokyo, replaced Sadako Ogata at the JICA helm. During a recent interview with The Japan Times, Tanaka, 57, emphasized that global demand for ODA is “rapidly increasing.” Many countries are in postconflict and peace-building mode or are developing on a path toward democracy, such as Myanmar. Tanaka expressed concern that Japan could lose its international leverage if it continues to cut the ODA budget. Experts have pointed out that while the United States, France and Great Britain have increased their ODA budgets, especially since the Sept. 11, 2001, terrorist attacks, Japan has taken the opposite direction. Last month the government announced plans to use ODA to promote regional security, eyeing projects such as providing coastal nations with patrol boats and possibly forging an agreement with the Philippines in the process. But Manila’s relations with China have been strained over a territorial dispute in the South China Sea, and “strategic” ODA on Japan’s part, such as the provision of patrol boats, could further raise tensions, experts say. He welcomed Japan’s widening approach but stressed it must not violate the nation’s 2003 principle of military support not being part of ODA. Despite the declining ODA budget, Tanaka praised Prime Minister Yoshihiko Noda and his administration for not drastically cutting overseas aid for fiscal 2012 even though Japan is still recovering from last year’s quake, tsunami and nuclear crisis. People nationwide were moved by the flood of support from around the globe, including from developing countries, Tanaka noted, suggesting this may be a key reason why the fiscal 2012 ODA budget cut was minimal. Japan, however, has also faced domestic and international criticism for continuing to export nuclear technologies even though the nation has been confronted with the worst nuclear crisis since the 1986 Chernobyl disaster. Last fall, the Climate Action Network, a global body of more than 700 nongovernmental groups, presented Japan with the unflattering “Fossil of the Day Award” for being “inappropriate, irresponsible and even morally wrong” in going ahead with the nuclear exports to developing nations. Tanaka acknowledged that it is up to each country to decide whether importing nuclear technology is necessary but stressed that JICA holds lessons on nuclear safety in its annual training sessions, with new elements introduced this year in response to the Fukushima No. 1 crisis. The training program has been held annually since 1985 for countries that are newly introducing nuclear power. Most recently, nine participants, including from Thailand, Malaysia, the Philippines, Chile and Jordan, came to Japan in January to attend the monthlong session. According to JICA, the lectures for the first time included discussions on what caused the Fukushima crisis, the measures taken to deal with it and relations between nuclear plants and local governments. 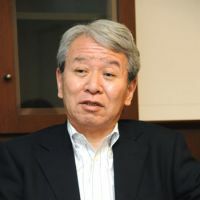 Tanaka, an expert on international politics, was vice president of the University of Tokyo before becoming the JICA chief. Taking over from Ogata, who served as the U.N. High Commissioner for Refugees from 1991 to 2000 and JICA president from 2003, Tanaka will hold the JICA post until September 2015. Tanaka has already met with various visiting leaders, including Palestinian chief Mahmoud Abbas and Peruvian President Ollanta Humala, as well as traveled to the Philippines to see some JICA projects for himself. “The assistance that JICA provides to developing countries is very comprehensive and at different levels. . . . I think of JICA as a communication institution — by helping the people in developing nations, JICA is communicating the Japanese people’s feelings to the world,” he said.